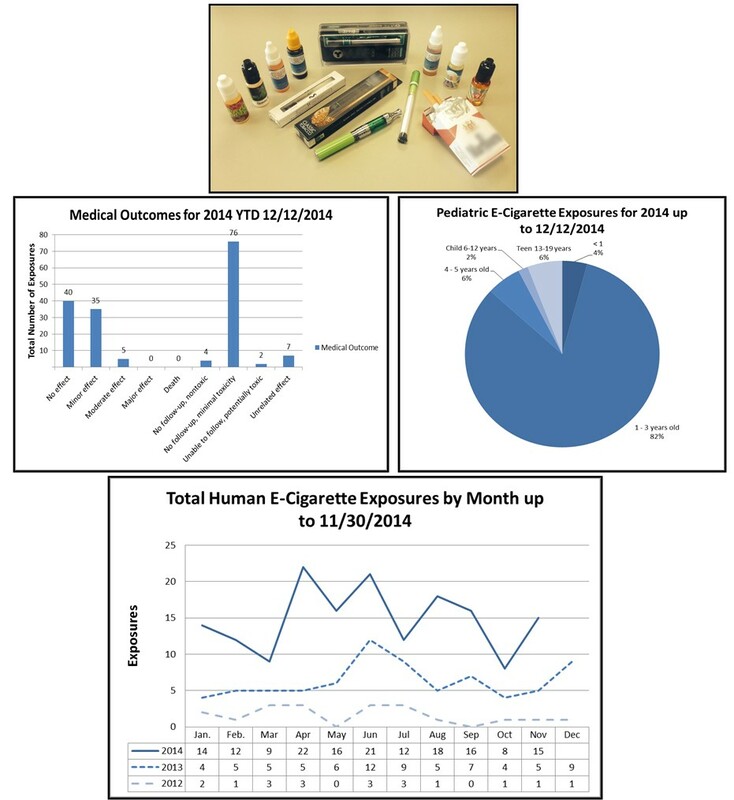 The Washington Poison Center continues to monitor the concerning trend in E-cigarette exposures, especially in children 1 – 3 years of age. While the majority of cases have resulted in minimal toxicity (i.e. mild stomach upset), the potential still exists for children to be exposed to larger doses due to lack of industry standard safety measures such as child-resistant packaging. “Kids are more likely to inadvertently get into these products due to the colorful packaging and sweet, fruity or candy-like smell of many liquid e-cigarette products,” say Dr. Garrard, Clinical Managing Director of the Washington Poison Center.